Predator Team Kits offers a full leisure range to complement your playing kit. Give you players cotton t-shirts to proudly wear off the pitch. Our 100% cotton t-shirts are fantastic for wearing casually and after training. They also offer a great opportunity for you to further promote your club and sponsors beyond the pitch. 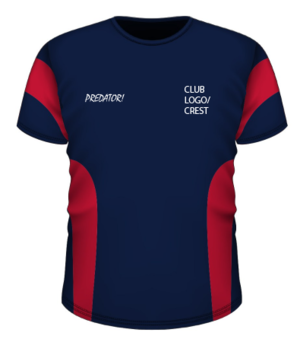 We will be on hand to help design your cotton t-shirts to make sure it’s in keeping with the rest of your playing kit. T-Shirts cannot be ordered online. Minimum Order quantity is just 10.